Professional Installation Tool. The Iron Sleek bracket is uniquely designed so that it fits into the Professional install tool. 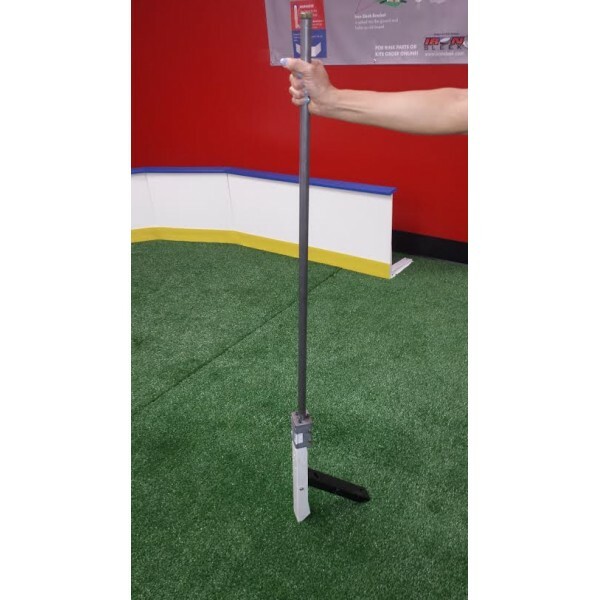 With the professional install tool, no sledge hammers need, no bending required. It is safe and easy. If you like easy and smart, this tool is a must have. We highly recommend it for all of our Professional installers, our Poly Steel boards customers, and Parks and recs. Watch the video below to see how pro's installs Iron Sleek brackets. After going through many 2x4 pieces using the standard installation tool and many swings of the sledgehammer, I upgraded to the professional tool this year -- what a difference. I was able to drive 40+ brackets into frozen ground using this tool and a post pounder. I was hesitant at first because of the price, but if you have more than a few brackets, this will save you so much time and effort it's crazy not to consider it.